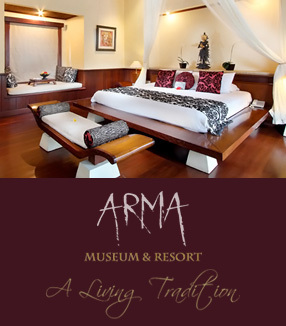 Born in Tebesaya, Ubud, 1966. He started paint seriously since he was 23, after learned the skilled from his father, Ida Bagus Wiri, a Pita Maha alumni and brother of Ida Made Poleng. Sena's works are delicate dominatedwith earth colour. 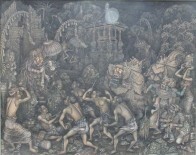 He has illustrated various themes of Balinese performing art scene and youth's dynamic daily life. His works feature various figures in a small canvas, therfore the figures are presented in detailed. sena's works have been displayed in various important exhibitions including the one held in Museum Puri Lukisan.